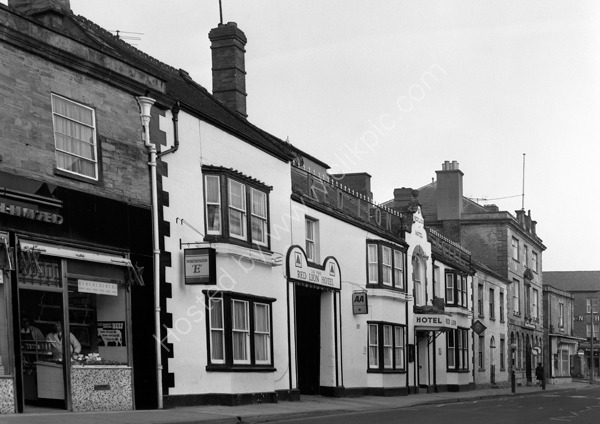 Before closure the Red Lion Hotel, 6 Market Square, Crewkerne TA18 7JY around 1974. Visited in 2012 when this was then Bilby's Coffee Shop. For commercial use of this photograph please visit www.alamy.com and search for AA1N33 but for a one off print, please see below.